Fierce competition extended in China’s oil refining industry in 2017. The average operating rate of independent refineries increased greatly, backed by the crude import quotas. In the meantime, China’s demand for refined oil improved limitedly, while the capacity increase at independent refineries weighed on state-owned refineries. The average operating rate of Sinopec and PetroChina dropped in 2017. Beijing put a brake on independent refineries’ crude import accreditation in May, but this didn’t impact the evolution of China’s oil refining industry. The independent refineries’ feedstock costs are expected to decrease further, with the construction of oil pipelines in Shandong. China’s oil refining capacity will increase greatly, as some independent refineries are building big oil refining projects, including Hengli Petrochemical, CNOOC Zhoushan Petrochemical and Shenghong Petrochemical. Therefore, China’s oil refining industry will face severer overcapacity. On national policies, there is a possibility that small and outdated oil refining units will be eliminated, just as the reform in the coal industry and the steel industry. This will support the big independent refineries. In 2018, international crude oil prices will still hover at low levels, and the fierce competition on the retail of refined oil will create both opportunities and challenges for state-owned refineries and independent refineries. SCI has around 20 analysts focusing on the oil refining industry, and this is the biggest oil refining industry analyst team in China. SCI has accumulated abundant primary data on the oil refining industry, based regular investigations and interviews. 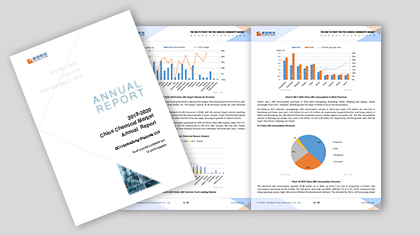 In the meantime, SCI also analyzes the authoritative data which are issued by National Development and Reform Commission, National Bureau of Statistics, Ministry of Commerce and General Administration of Customs, together with information from mainstream producers, traders and downstream enterprises, in order to provide an authentic and reliable report on China’s oil refining industry.